NVMe PCIe SSDs are currently the fastest growing storage device segment. Due to a drastically different architecture, moving from SATA/IDE/SAS/SCSI/USB storage devices to NVMe PCIe means that everything changes on all communication layers, requiring all-new hardware and software. 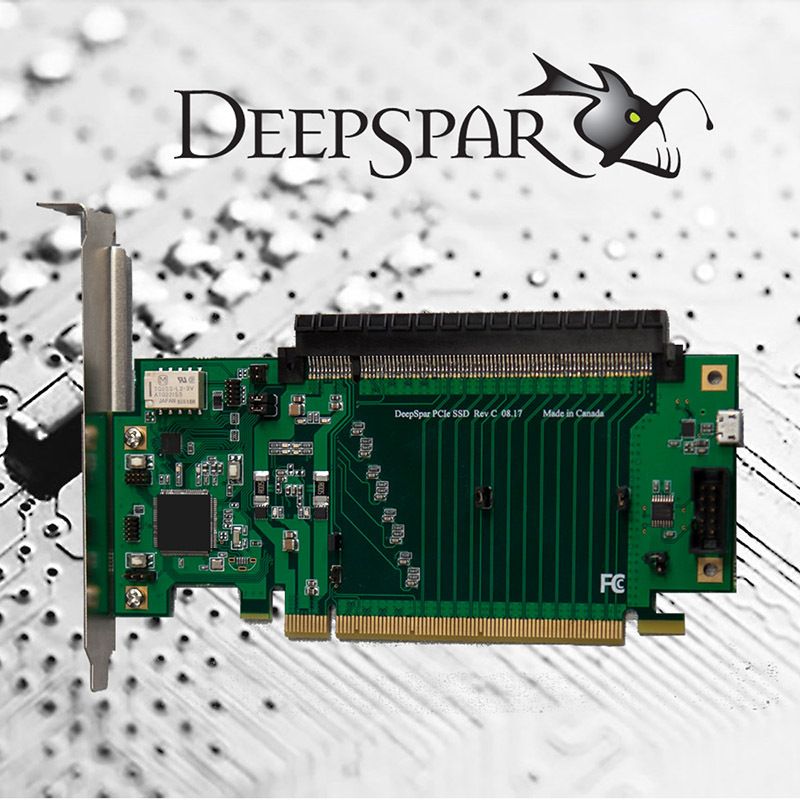 The DeepSpar Disk Imager PCIe SSD Add-on is the world's first data recovery solution offering complete hardware and software control over the PCIe interface and NVMe + AHCI protocols, enabling key functionality which users have grown to expect from the DeepSpar Disk Imager product line, including multipass imaging with sector map, recovery of specific files/folders, read sector timeout, and more. READ THE BLOG POST Recovering Problematic PCIe SSDs. CONTACT US for more information on the PCIe SSD Add-on.